*Keep in mind that I have not yet seen The Green Hornet. There are so many people eager to write-off The Green Hornet before it has even been released. “It looks stupid” and “I’m tired of Seth Rogen” are the two most used responses when you probe a judgmental naysayer why he or she does not want to see it. Listed below are three reason why I believe you should want to see The Green Hornet. 1. 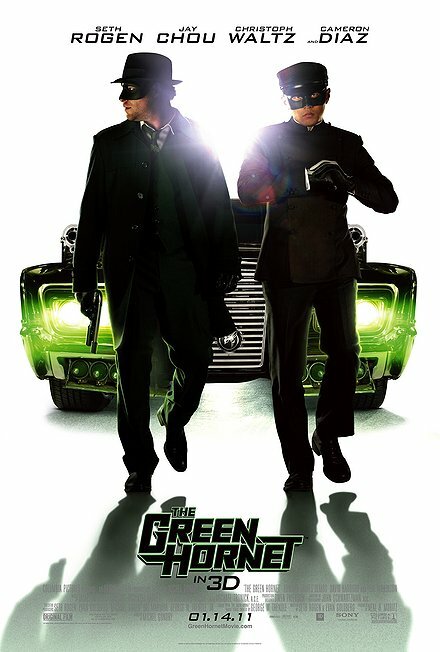 The Green Hornet is directed by Michel Gondry – the guy can do absolutely no wrong. Look at Eternal Sunshine of the Spotless Mind, a brilliant masterpiece that no one saw coming. While Eternal Sunshine went on to nab the Oscar for Best Original Screenplay, I guarantee you that without Gondy waving his unique French magic all over it, it never would have taken that accolade. Please, have a little faith in the guy. 2. Seth Rogen received praises for co-writing Superbad with childhood friend Evan Goldberg – considering that Rogen and Goldberg co-wrote The Green Hornet, where is the love now? Teenage coming-of-age Superbad succeeded amidst all the others due to its refreshing take on the genre – that and it was really funny. The Green Hornet is being released in a time overly saturated with run-of-the-mill superhero flicks. Seeing what Rogen and Goldberg did to freshen-up a looked-down-upon genre, what makes you think the duo can’t do the same again? 3. Yes, Seth Rogen often plays the same character in every film, but we all said the same tune about Michael Cera and he defied our expectations with Scott Pilgrim vs. the World. Just as Cera did with Scott Pilgrim, Rogen has the potential to break the norm with The Green Hornet. Scott Pilgrim had a visionary director (Edgar Wright, Hot Fuzz) and a fantastic script, allowing Cera to stretch himself. If “George Michael” Cera can command a fantastic film under the exact same circumstances, why is it that Seth Rogen cannot? Be sure to check back on Friday for reviews of The Green Hornet – hopefully I don’t end up eating my words!